The NBA’s All-Star Weekend is almost here, but there are some significant changes to the all star game this year. As usual, a 12-man roster is comprised of the best players in the Eastern Conference, and another for the best players of the Western Conference. 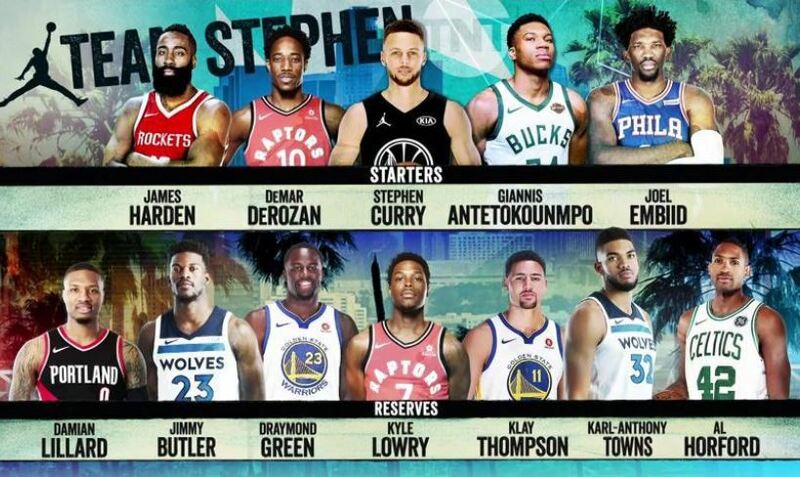 Then, the two leading vote-getters from each conference, Stephen Curry and LeBron James, get to draft players out of the other 22 chosen for their team, without regard for conference affiliation. Team LeBron lost three injured players after picking the teams, which is extremely unfortunate. As always though, there are a number of qualified options to replace them. Paul George, perhaps the largest snub from the original all star cut, deservingly got the first spot open when DeMarcus Cousins went down with injury. Team Curry has an advantage in terms of injury, as all original players are still healthy. While team LeBron has more 1st year all stars, Team Curry is still younger as a whole, with James Harden being the most experienced all star. As an incentive for players to play a little harder in the All-Star game, the incentive for winning has been raised from $50,000 to $100,000. This increased incentive should surely make the all star game more entertaining. Dunk Contest Winner – Dennis Smith Jr.